There are many benefits that you can gain from the ancient practice of yoga. We all desire to feel good, and yoga is one of those techniques that is geared to help us to feel better. From an emotional and spiritual angle it can help to keep your mind clear and focused, by performing yoga you will be able to tune yourself into a positive energy and a calm state of being. It achieves this by teaching you how to center and ground your body as well as quietening your mind. Yoga is about breathing and relaxation and anybody can learn how to take advantage of its many health and soothing benefits. Research into the positive effects and benefits of yoga, have suggested that yoga can actually help to change your brain. Many people talk about how better they feel after a yoga session, but now it is thought that the post session yoga, feel good boost, is not just a psychological response. Using brain scans, scientists have revealed that yoga actually does change your brain chemistry, which can boost your mood. Yoga seems to bring about many mental benefits, with the main benefit being a calmer, quieter and more relaxed mind. It is believed that people who are depressed, or those who suffer with emotional problems, have a a decreased level of gray matter in their brains. Regular yoga, is now thought to increase the levels of gray matter in the brain. MRI scans, have detected more gray matter (brain cells) in certain areas of the brain, in people who regularly practiced the relaxing and therapeutic art of yoga. Therefore, yoga might help you to feel less anxious as well as helping to life your mood and leave you feeling more energized, relaxed and alert. Then there are the physical benefits of yoga, it can help to keep your body strong, supple and toned. Yoga will give your body more flexibility, but it is not all about body flexibility and posture improvements it also incorporates spiritual inner balancing as it teaches you to be kind and loving to yourself. Many people say how it can make you love yourself and you will become more tolerant and loving to those around. Yoga gives you a greater insight into how your mind and body works in in relationship to your experiences, emotions and feelings. Your emotions and what you're experiencing on the inside of yourself can decide what focus of attention you are following which determines whether you feel good or bad. Yoga will help you understand how your feelings and emotions work and then you will have more control on whether you choose to focus on things that make you feel good instead of following the thoughts that make you feel bad. This will help you to control them better so you will gain a much better understanding of who and what you are and how you wish to feel. Most of our focus throughout our day is centered on external circumstance which often produce us a lot of stress and tension. We tend to neglect and overlook our internal states, yet to reap the benefits on the outside, we first must feel good on the inside. There are not many things that yoga cannot help you with, it is one of those self help methods that can be used for a numerous amount of issues and benefits. It is an excellent way to help you to get to sleep better, especially if you suffer with insomnia and you can't get to sleep. Yoga is widely used as an aid to help you lose weight, especially as it is good for controlling your emotions, it will also help you to tone up your body. A good time to perform your yoga is first thing in the morning not only will it give you a sometimes much needed energy boost it will help to wake you up so you feel relaxed, bright and alert. The difference with the energy boost gained from yoga compared to other more commonly used energy boosters is that yoga will give you a more sustained and longer lasting level of higher energy instead of the quick energy boosters like caffeine that are short lived. Yoga can also help to shake of any tension you may be holding from your sleeping, so it will set you up to be grounded and centered, leaving you feeling refreshed, calm, positive and balanced for the day and challenges ahead. When you practice yoga on a regular basis, it will allow you to go deep within inside yourself where here you can discover more about who you are and how you should really naturally feel, it will open you up to your internal level of consciousness and inner being. Once you become more aware about your none physical side and how you function which includes your feelings and sensations you experience throughout your daily living you will then learn how to take greater control of how you want to feel. When you become aware of how your external circumstances affect your feelings either from focusing on the past or how your perceiving the future, which both have an impact on your emotions you can then use the power of yoga to center and balance yourself in the focus of the present moment. This is where the benefits of yoga come in, not only will it help you to reduce your stress and tension, but you can also enter a deeply relaxing meditative state to lock you into the now. When your awareness is focused only in the present moment, then you will enter a state of pure consciousness and inner peace. This is your safe place of harmony and inner balance, here you will have no ability to get stressed about the future or let your past disrupt how you feel. When you create tension and stress in the mind and body you will spend all your life fighting yourself, you will be working against yourself. It won't be so much your external circumstances and other people that become your biggest problem because you will become your biggest enemy when really what you should be doing is practicing to make your life easy and flowing. Stress and tension will take you away from who you're supposed to be, you will be turning your energy system against yourself. Yoga can help you to re-balance your inner energy and free you from all that damaging worry and stress. Breathing has a dramatic effect on how we feel, yoga will help you to tune into how your body feels and help you to reset your natural breathing process so you start to breathe more smoothly, naturally and clearly. Many illnesses and pains in the body are believed to be cause of a lack of oxygen at the cellular level, shallow and incorrect breathing can cause a lack of oxygen in the body. Stress and anxiety are two states where we breathe more shallowly and rapidly, which results in a lack of oxygen in the body. The correct rhythmic natural breathing helps to calm the mind and oxygenates and relaxes the body. One of the best ways to correct and regulate your breathing is to calm the mind and body first. When you are relaxed both physically and mentally your breathing should regulate itself naturally, normal breathing should be through your nose and it should be diaphragmatic. Slower breathing is regarded as better for you than breathing more often, however there is some disagreement between modern yoga teaching and ancient yoga to whether you should breathe more or less. If your unsure consult your doctor or medical practitioner. Most people have become chest breathing, this means they are breathing to shallow and to often, when your breathing is out of sync your whole body won't function and operate efficiently or smoothly and it is bad for your health. Yoga is for everybody of all ages, if you're interested in taking up yoga, you can either attend a yoga class or you can do it with the aid of a DVD from the comfort of your own home or you can combine the two together. 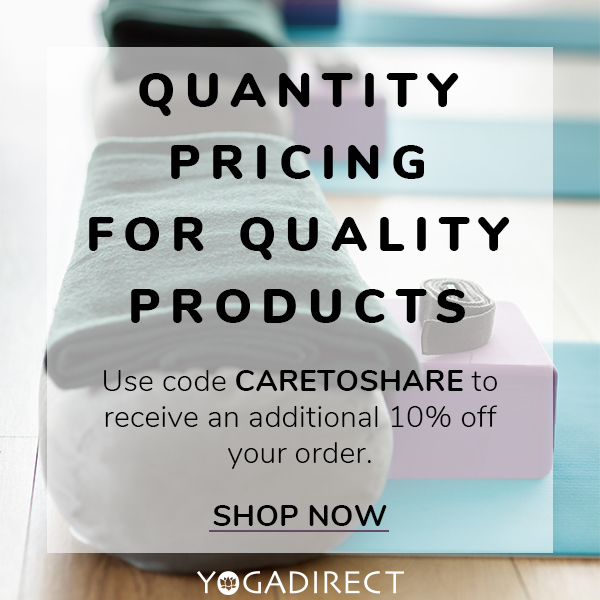 If you wish to enjoy the many therapeutic benefits of yoga including yoga DVDS, equipment and all the resources you will need, then you might be interested in taking a look at one of the largest Eco Friendly Yoga Supplies.